Regular Ropa Vieja is bomb.com but this classic Cuban Dish can also be made with chicken and used as an empanada filling, tacos filling, and much, much, more. 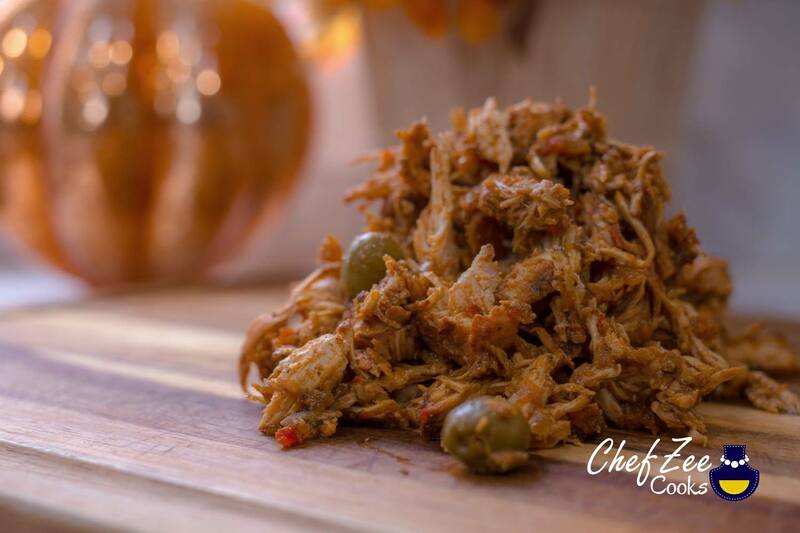 In fact, I make Chicken Ropa Vieja more often than regular Ropa Vieja because it’s easier and faster to make! Depending on what you’re using it for, you can also control just how saucey you make this dish. Regardless, it’s a crowd pleaser & winner each and every single time. Be sure to give this recipe a try when you want to try something different, or give beef a break. This dish is great as a filler for empanadas or any other stuffed savory pastry. You can also enjoy this dish with rice, mashed plantains or potatoes. As the leftover sauce cools, it will thicken on its own. If using as a filling, make sure to let sauce thicken considerably. If you eating with rice or potatoes, feel free to have a much more runny sauce. Enjoy. Buen provecho!